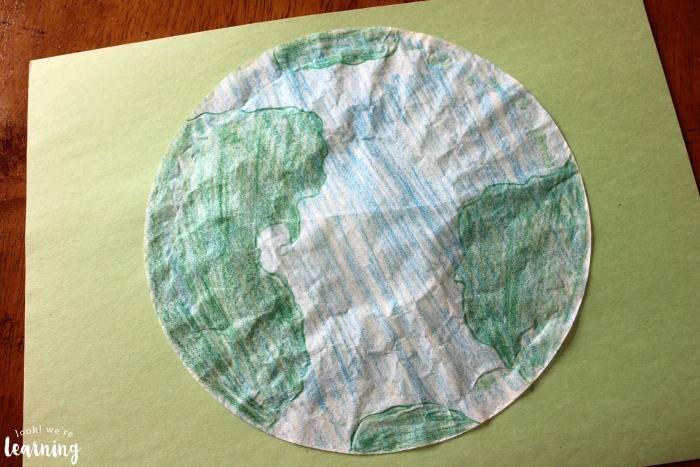 Coffee Filter Earth Craft - Look! We're Learning! I have to admit: I am NOT the craftiest person on the planet. I like to knit, sew, and write, but it’s hard for me to come up with crafts to make with my kids. The biggest issue is that I hate making a mess. So if the project involves glitter, lots of glue, or tiny pieces of paper, I’m probably going to run screaming in the other direction. That’s not to say I won’t ever make those kinds of projects with the kids, but it’s a struggle. Have you ever tried to get glitter glue off of a four-year-old’s face? It’s not fun. So whenever I do a craft with the kids, I prefer to make one that doesn’t take a lot of time, doesn’t need a lot of supplies, and doesn’t make a big mess. 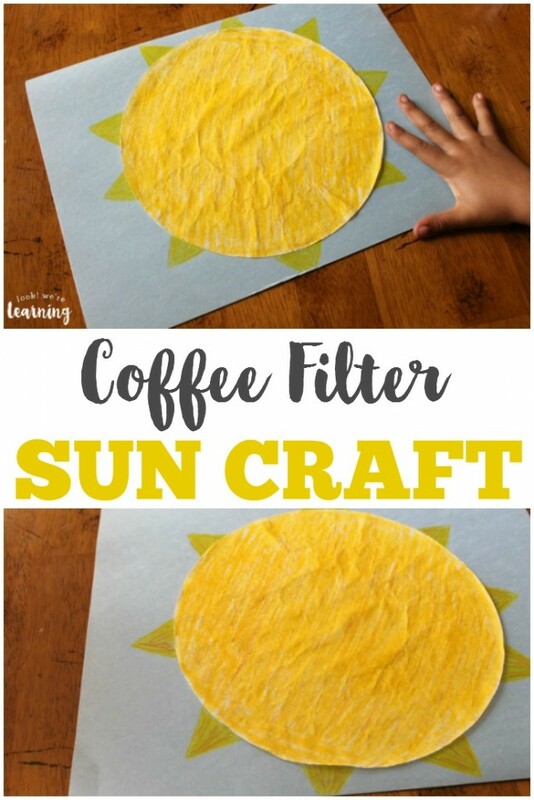 And that’s why I love coffee filter crafts for kids! There are plenty that we can make in no time flat. 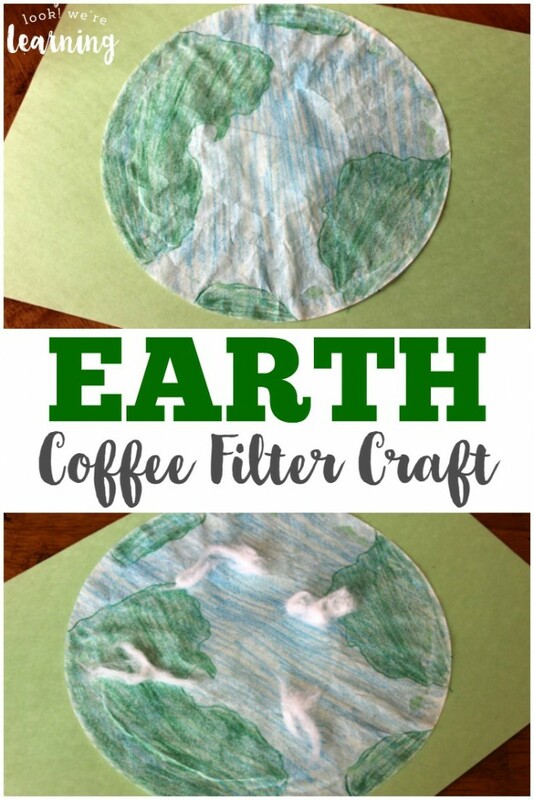 This coffee filter earth craft is no exception! It’s an easy craft that only needs a few supplies and makes almost no mess at all. I promise. 🙂 Plus, it’s a great activity for kids who are learning about conservation, the universe, or geography! 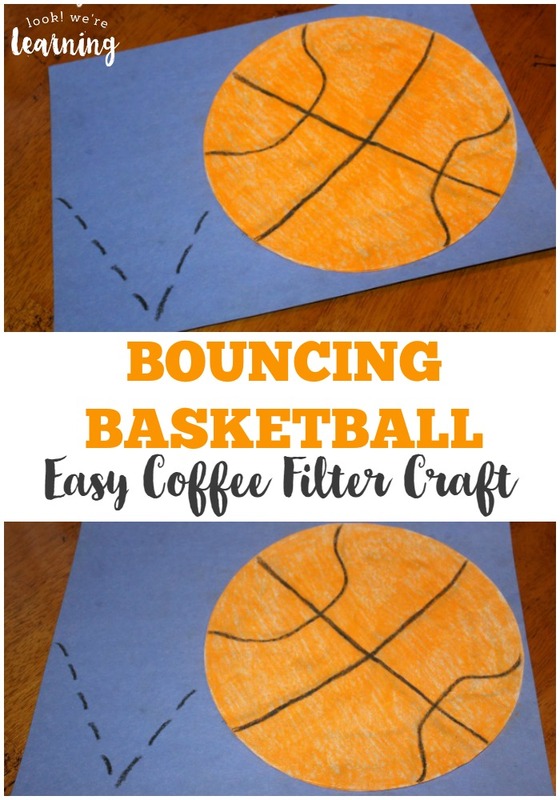 If you like this craft, don’t miss our easy bouncing basketball coffee filter craft or our simple coffee filter sun craft! 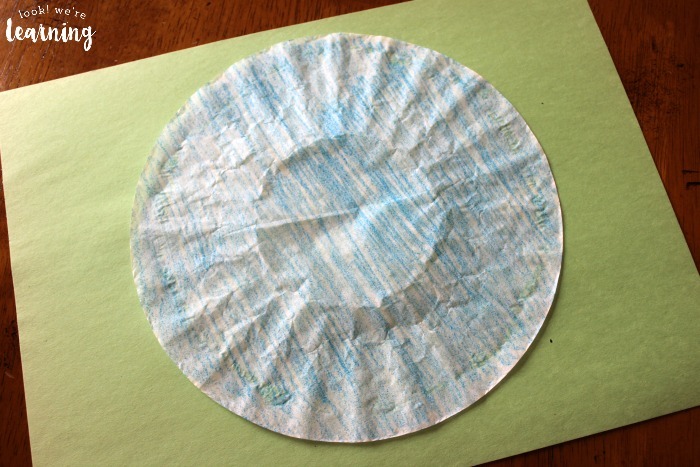 Start off by coloring the coffee filter blue. You can use either crayons or colored pencils for this. I went with a blue color that looks aqua – just to give the appearance of water. 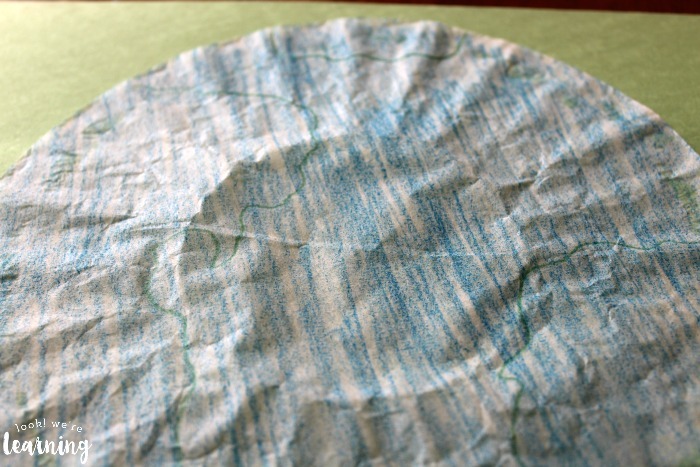 After you color the filter, glue it onto a piece of construction paper. 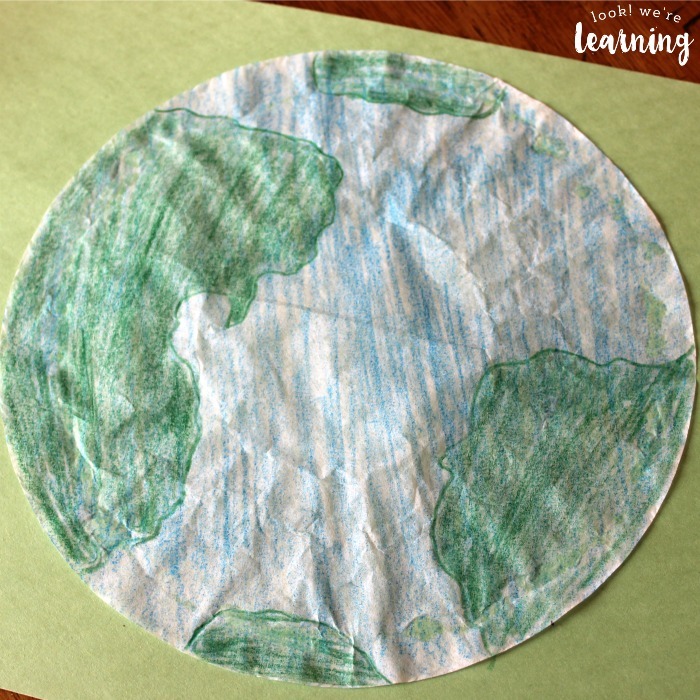 Use a green colored pencil to do a rough outline of the continents. I didn’t really try to draw the actual coastlines, because I…ahem…am not the best artist on the planet either. But I did enough to resemble the continents. See? You can kind of see Florida hanging down in the top left. Kind of. 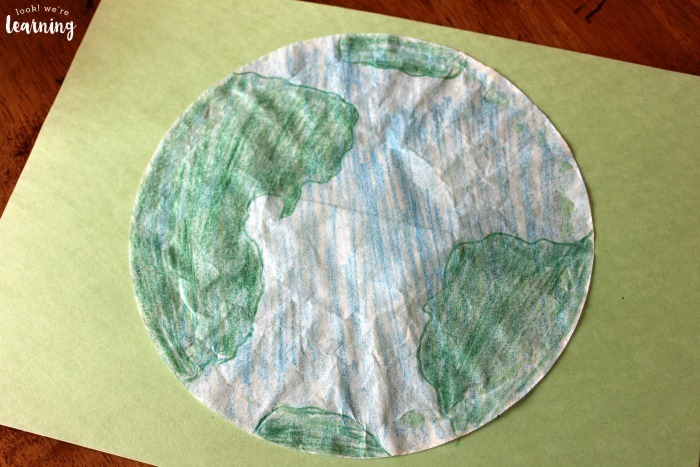 Afterward, just color in the “continents” with the green pencil. I colored these shapes in pretty heavily to make sure they showed up over the blue color. 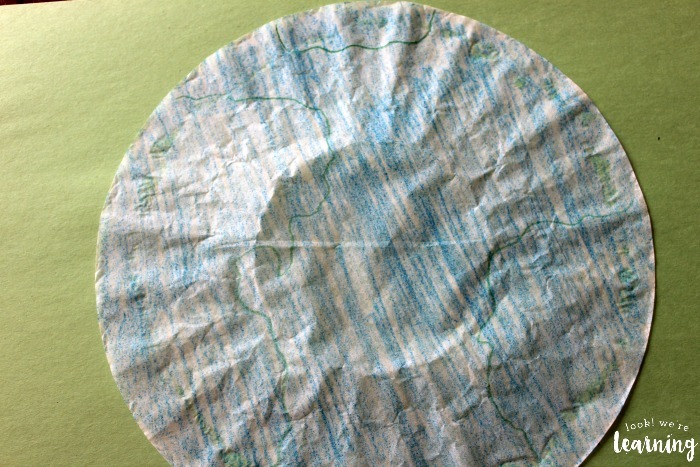 Really, you could stop here and be finished with the coffee filter earth craft. 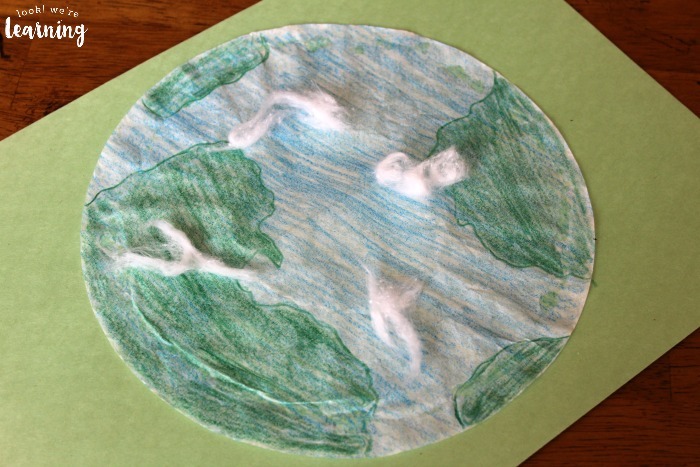 Or you can stretch out a cotton ball or two and glue the pieces in random spots to make “clouds”. Either way, you’re basically done. Wasn’t that easy? 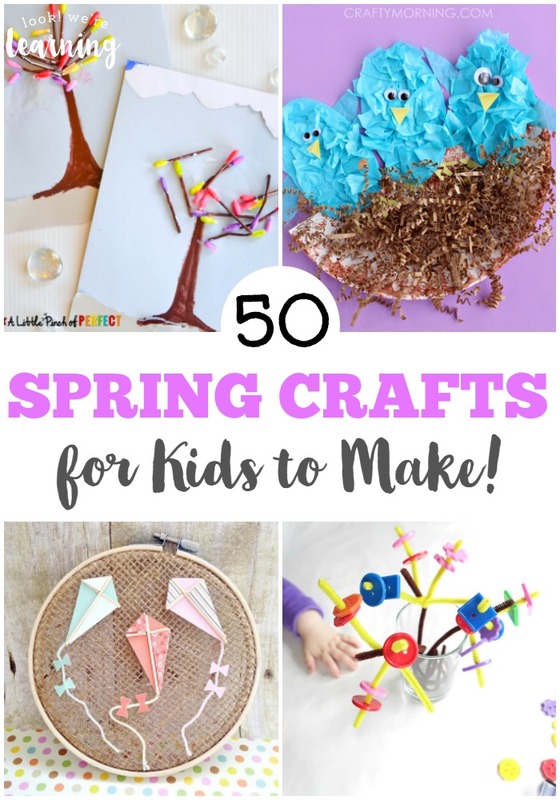 Try these other fun crafts for kids! And see more easy craft ideas on my Simple Crafts for Kids Pinterest board!